Jesse Hirsh the CBC Toronto's longstanding and deservedly respected tech columnist, a fixture for many words, interpreting the tech news of the day for the public broadcaster's nonexpert audience, explaining how tech's turns and twists are relevant to their lives. This week, Hirsh covered the New York Times's blockbuster report on Facebook, which revealed that the company had chosen deliberate inaction after being warned about its product's role in genocidal murder-sprees, and then the company hired a notorious dirty-tricks PR firm that created malicious, false, anti-Semitic news stories that linked Facebook's critics with George Soros. This is par for the course with Hirsh, who has long been a sharp critic of Facebook (as Jesse Brown notes on this week's Canadaland podcast, Hirsh is of the generation of technologists who have always eyed Facebook with suspicion as a centralizing walled garden where surveillance and casino-style intermittent reinforcement are combined to produce the most toxic force in technology today). But then Hirsh broke with his normal coverage and explicitly called out the CBC for its cozy relationship with Facebook, which is reinforced by management's exhortations to its on-air staff to regularly remind the CBC's audience to follow programs and personalities on Facebook, and by the broadcaster's commercial relationship with Facebook (presumably this refers to ad buys for CBC programs). 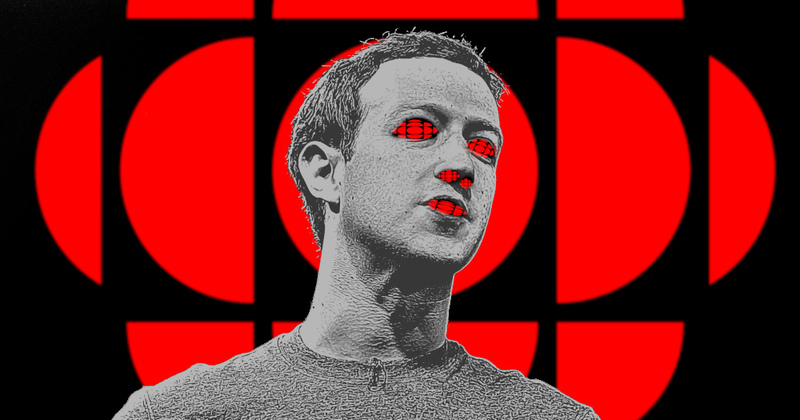 Hirsh reveals that every time he criticizes Facebook on air, Facebook's corporate officers complain to CBC, and that "CBC has not defended me, or has not defended our right to have these conversations" (Hirsh adds that CBC Toronto's Metro Morning does defend him). Hirsh's remarks are cogent, important, and (in my view), 100% correct. Statements like "it’s clear to us that Facebook is a threat to democracy, and CBC, as a public broadcaster, should be strengthening democracy" are exactly the kind of editorial independence you'd want from a columnist on a public broadcaster. As important as Hirsh's remarks are, and as shameful as CBC's unwillingness to back their columnists from corporate special pleading is, what happened next is even more disturbing: the CBC declined to post Hirsh's remarks online (as is routine for the broadcaster), and instead they threw Hirsh under the bus, publishing a maddeningly nonspecific disclaimer of his remarks, smearing him by saying they didn't rise to the broadcaster's "journalistic standards" without citing any aspect of those remarks that fall short of the CBC's standards. However, other people recorded Hirsch's remarks and made them available online, and they've also been transcribed and published so you can judge for yourself. Facebook does enable all kinds of good in the world, by allowing communities to form, support each other and mobilize for action. But these are incidental to Facebook's core mission: to eliminate the public internet and put every one of our interactions inside its proprietary walled garden, where it can perfectly surveil everything we do in our digital and physical lives in order to sell that data to advertisers -- including political advertisers -- who want to influence us. Moreover, Facebook is committed to spending as little money as possible on overseeing those influence campaigns, even when it has both constructive and actual knowledge of illegality, from discriminatory housing, financial and employment ads, all the way up to the planning and execution of genocidal massacres. Calling Facebook "a threat to democracy" is factual on its face, and Hirsh's remarks were important, timely and an important contribution to the ongoing debate about the role of public broadcasters in our discourse.